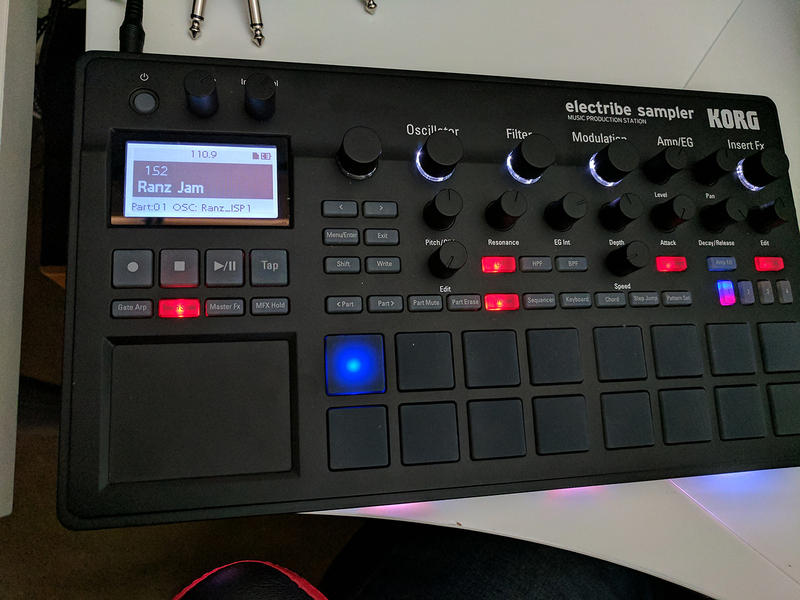 The Korg Electribe 2 Sampler has been out for 2 years now. I wanted to put together an article that sums up some of the recent changes, problems still outstanding and tips and tricks all in one place. I plan on doing a YouTube video covering this too – so we can have both searchable text here and visual guidance over on the YT! However, scouting around the ‘Net you’ll find there’s plenty of wishlists for this sampler. Some aren’t possible due to the hardware limitations. Having to re-import user samples after power cycle. Note cut-off on pattern change – really effects live playing. Notes should continue to tail. Attack problems – small minor adjustments aren’t possible, it seems like there’s some OS lag where jumping occurs. Filter is affected the most by this. 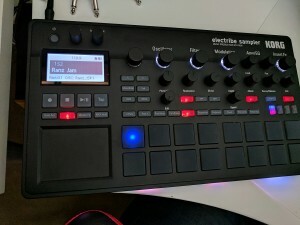 Song mode lacks features – not chaining – re-introduce features of older electribes for song mode. Make your samples mono and speed up the recording to save sample memory space. Even today, this sampler suffers the same problem that the older MPC samplers had – memory limitations! Speeding up your sample (double + double speed) – and then down-pitching when using the sample saves memory space. For projects, you could create a folder on the SD card where you can store your patterns and samples – for making it easier to find them. Use EXPORT-ALL-SAMPLE to ensure that you have the samples load when you power on later. Do so at your own risk, but it is possible to have an E2S if you only own the E2 by following the instructions on this site. Drum samples can be made a single audio file bound together in banks, then you can splice all the hits and only use one sample slot (to a max of 64 hits). Factory patterns have hidden parts muted – un-mute them to discover more stuff! Part parameter settings can be discovered “non-destructively” by using the < and > arrow keys. Sequencer|Keyboard|Chord + pad will go straight to the part you want (not having the scroll <> through each part to get there slower). Use Gate Arp and select multiple pads – then you can use this pad selection to part mute (for example) – a great hack! Use the part length to create shorter parts and form arpeggiator-like sounds.